Be bold and beautiful in this ruffled plus-size short wedding-guest party dress. 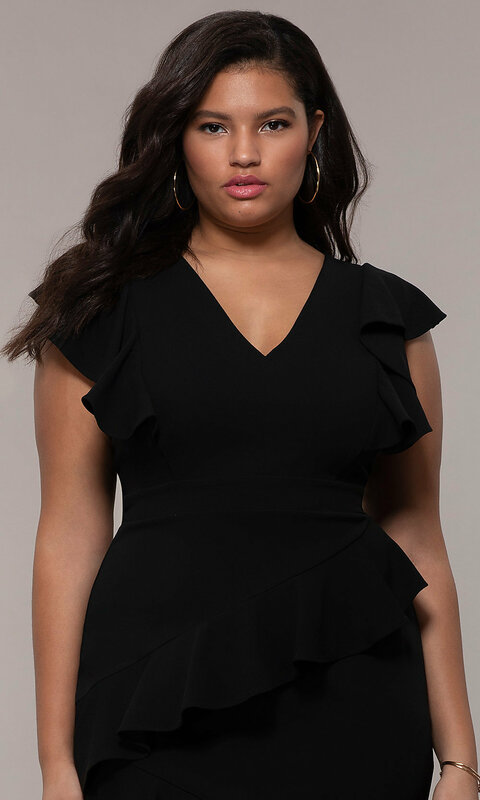 This short tight plus-size party dress features flutter sleeves that make a statement as they cap the shoulders. Princess seams add a visually slimming detail, and a waistband cinches for definition. Alternating asymmetrical ruffles embellish the skirt and come together into a tulip-style hemline. 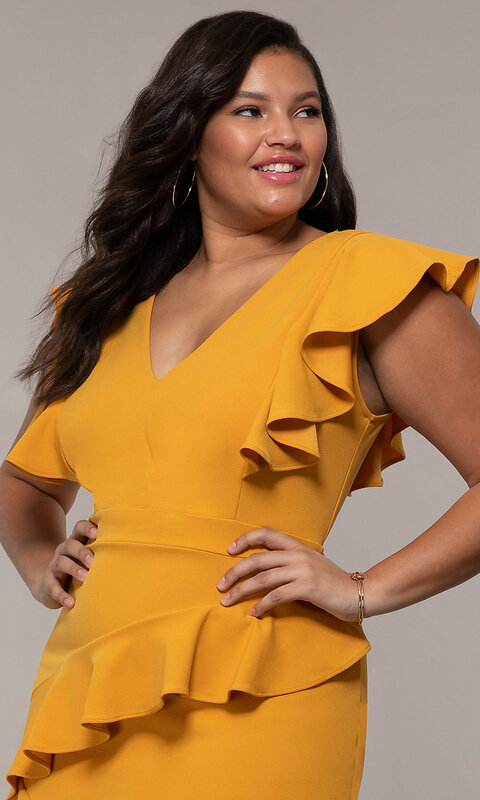 A v-neckline finishes the plus-size semi-formal dress. Wear this ruffled plus-size short wedding-guest party dress to an upcoming special occasion for a feminine look.